Has teaching experience of over 50 years. She started her teaching career at the then well known Pestongee School of Music, having taught the piano and violin there for over 15years. 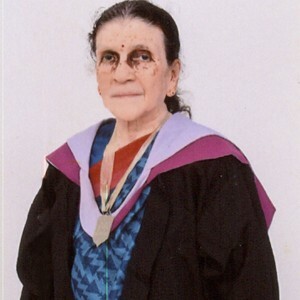 She then continued teaching privately at home, and is also a Board Member and Examiner for the Institute of Western Music and Speech in Sri Lankan. At the Institute she has served as the Vice President of Music, and a member of the Council and Examination Board. She also plays the organ in church, and has attended several workshops. She has organized many concerts of her students, playing solo piano and violin, as well as an ensemble. She has taught generations of students, and her students have been prize winners at examinations conducted by ABRSM as well as Trinity London. She is the mother of Soundarie, and together, they work towards bringing out the best in each child, where music is concerned.